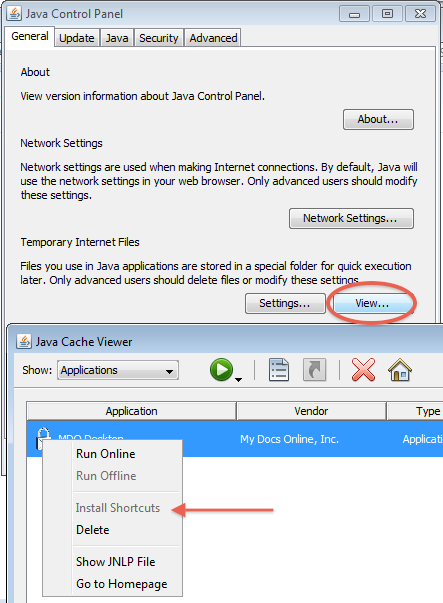 If your installation of the Desktop App is missing a shortcut, you can add it from the Java Control Panel in Windows 7, Windows 8, and Windows 10. On the General tab under Temporary internet files, click View. On the popup find MDO Desktop and rightclick…install shortcuts.